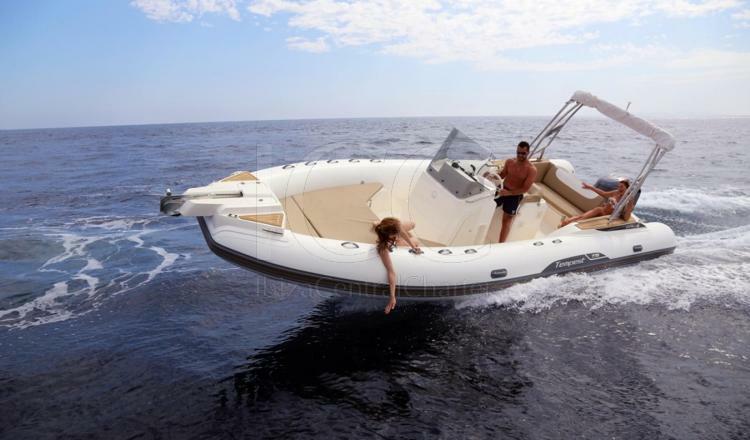 Capelli Tempest 775 is comfortable, spacious and has been designed to get the enjoyment of every one who navigate in it. 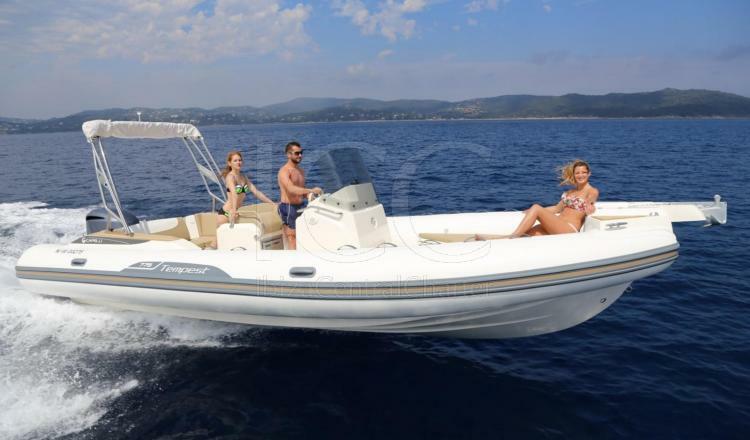 Capelli Tempest 775 is almost 8 meters length and 3 meters beam which gets a boat for 12 people maximum, thats a good new because means that you can sail without leaving anyone on land. 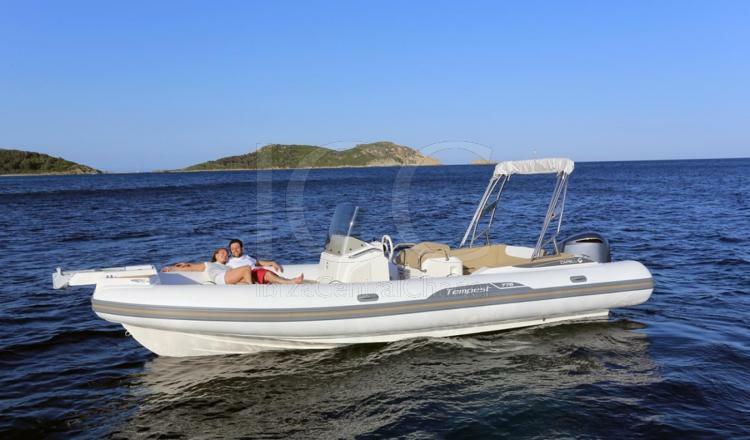 This large pneumatic boat has a wide bow solarium and a U-shaped sofa in its stern, this sofa with a picnic table becomes an amazing area to enjoy a good meal with your family or friends, who will be protected by bimini top in the hottest hours of the day. The shipyard does not forget to provide Capelli Tempest 775 with small luxuries becoming the sailing sensation from very good to spectacular. That is achieved through the fridge or radio CD, that make possible get the best atmosphere to relax in the sea. 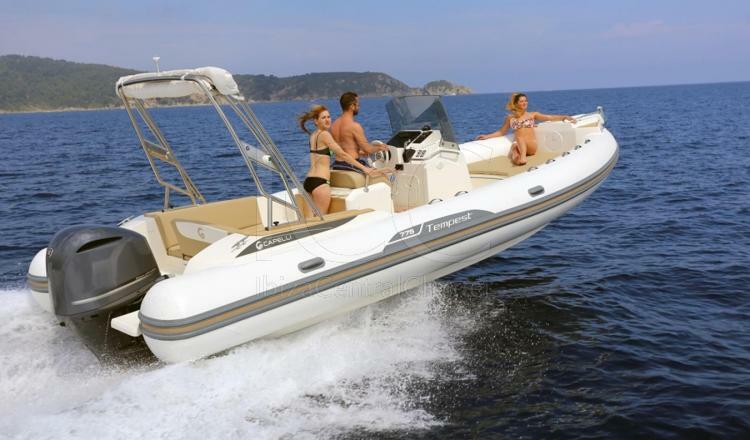 Capelli Tempest 775 is comfort, design and beauty mix in the pneumatic boat's world.